Property Details: Two Bedroom, Two+ Bathroom Gulf-front Home with more than 1100 square feet. Beach Club condominium home, Gulf Shores Alabama real estate sales. Two bedroom condo in desirable Bristol Tower. This resort residence is in excellent condition and has granite counter-tops and updated cabinets in the kitchen with stainless steel appliances. New carpet in bedrooms. Barn style door covers access to pantry and clothes washer/dryer area. Split-floor plan with spacious master bedroom and double vanity bath, garden tub, large walk-in closet. Master bedroom also has access to a private beachfront balcony. Floor to ceiling sliding glass doors. Excellent rental property with nearly $27,000 generated in 2017. Exceptional resort property with numerous pools, indoor pool, exercise facility, clubhouse, game-room, playground, tennis, meeting space and much more. 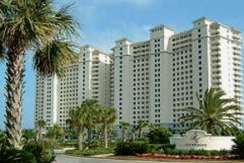 Come see this resort home at Beach Club Condos in Gulf Shores AL.